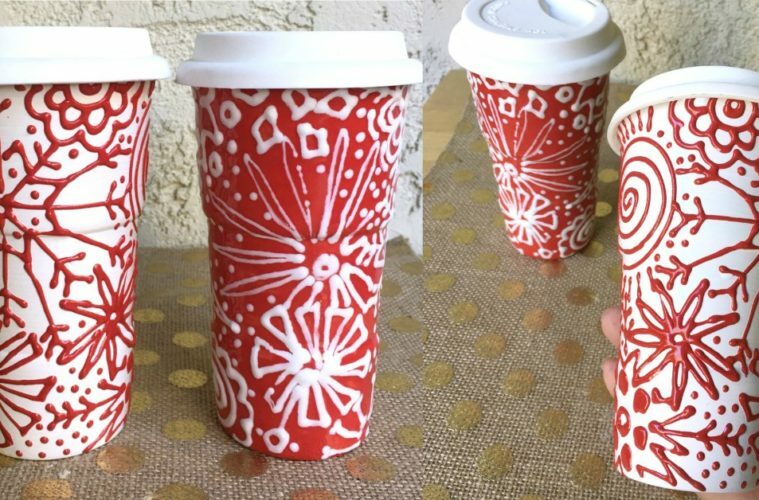 This whole Starbucks red cup controversy is so silly, I won’t even address it. BUT – I do see a creative opportunity! Whatever your stance, why not make your own red cup? 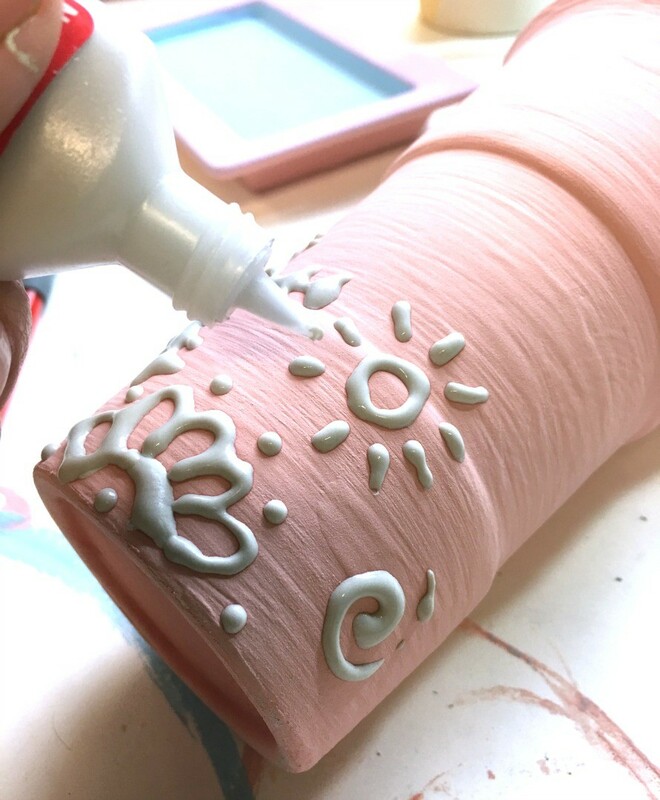 Visit your local paint-on-pottery studio. They have oodles of mugs and cups to choose from, and not only will you have a custom and functional work of art, you will be supporting an indie business/entrepreneur! Here’s how I made these! 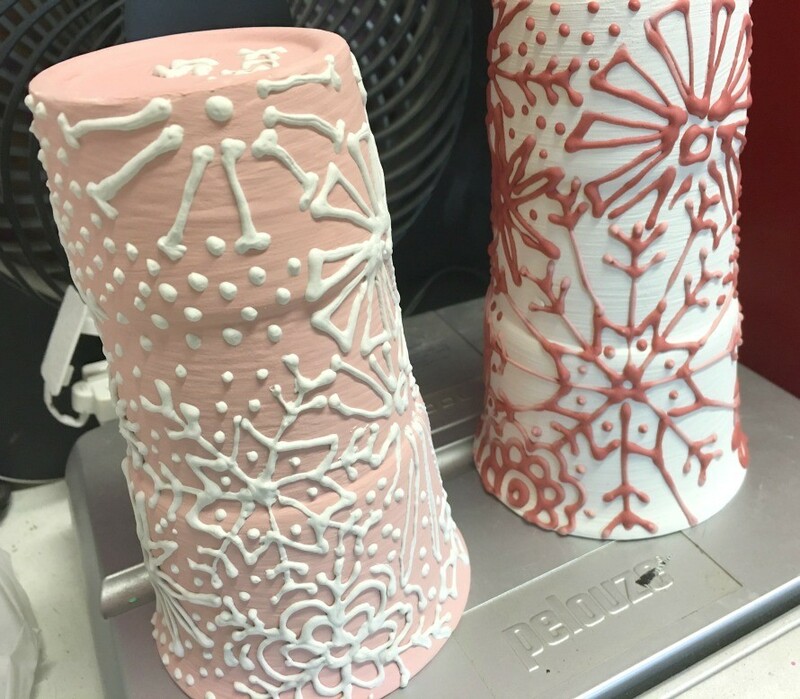 ALTERNATIVE: Visit your local craft store for bake on ceramics, all you need is your home oven! 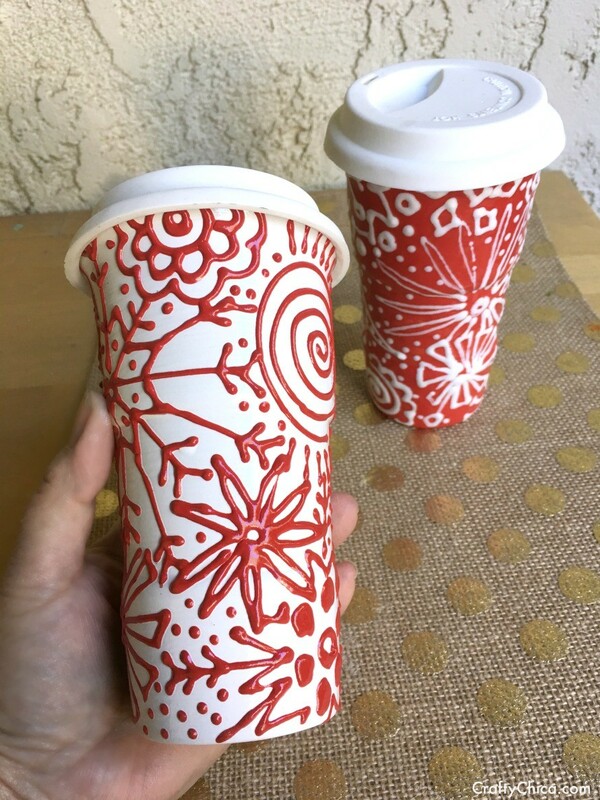 2nd ALTERNATIVE: Use a Sharpie and draw on the Starbucks red cup! 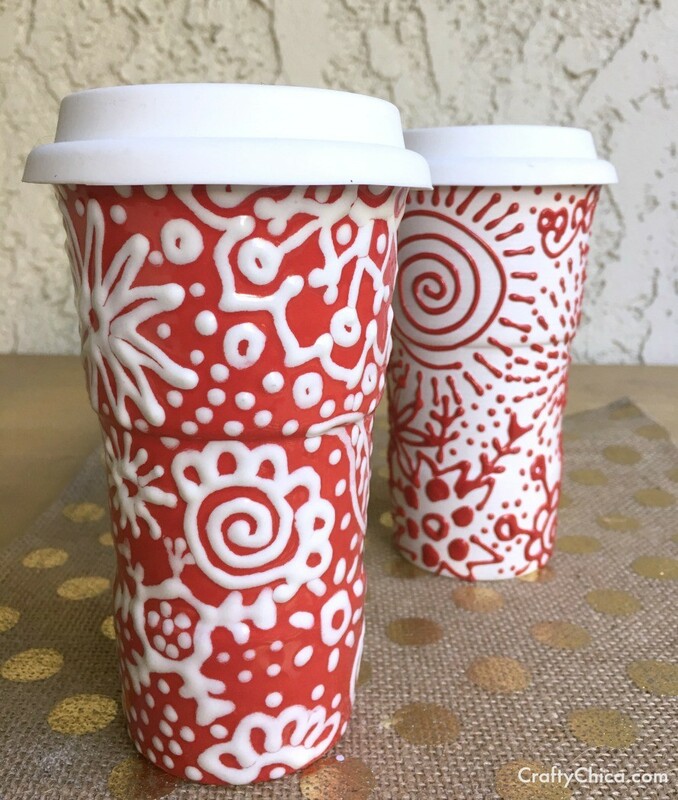 3rd ALTERNATIVE: Check out this list for other holiday cups! Regardless, it’s all about spreading cheer and connecting with others so we can all have a bright, happy holiday season! Let dry completely, then sponge on three layers of Pure Brilliance. Let dry completely. Fire at Cone 06, medium speed. I don’t know which one I like better! Bottom line? Instead of getting all worked up, get creative. Turn it into something positive! 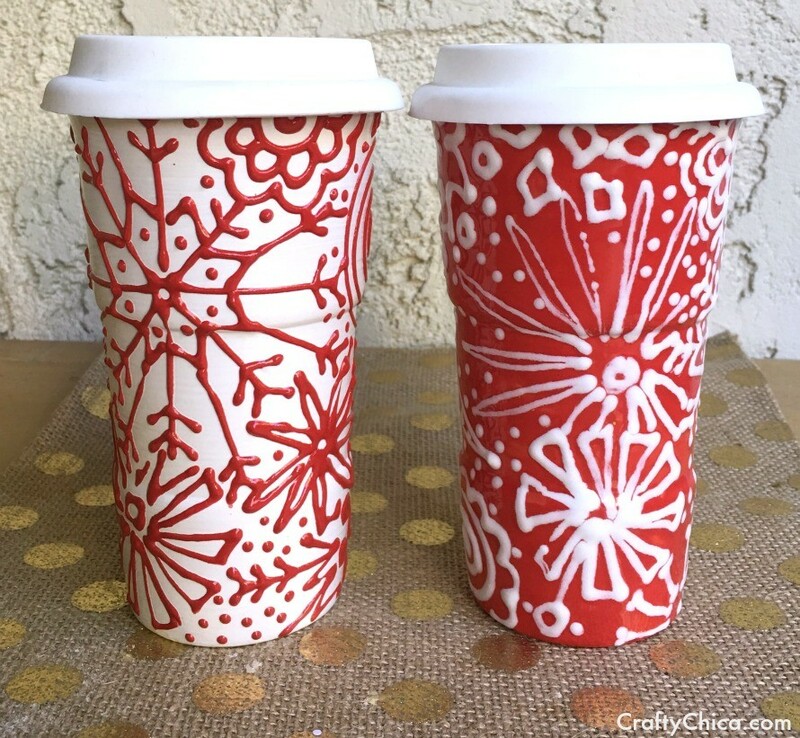 Get together with friends and/or family and have a red cup paint party. 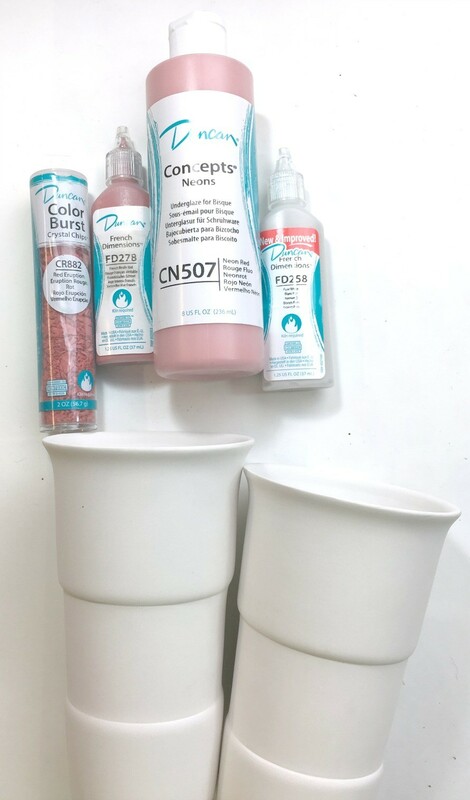 Paint two cups, one for you and one to give away as a random act of kindness. Paint one, fill with healthy snacks and give to a homeless person so they will always have a cup to use. Paint them and auction them off, use the money to donate to a holiday program for those in need. OK, let’s get this season started! You are right, it’s so silly we shouldn’t talk about it and your solution is perfect! Everyone can create their own depending on their feelings, beliefs. I love it! I’ve never seen anything better.